When I was a kid my mom used to pull out the electric hotplate, turn it on and give my brother and me paper and crayons. We placed the paper on the hotplate and drew with crayons. 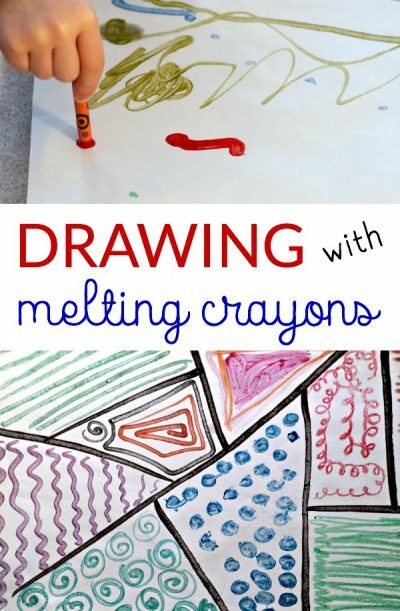 I loved the way it felt to draw with the smoosh-y, smooth, melting crayons. It was one of my favorite art projects and my mom probably loved the way it kept me occupied. 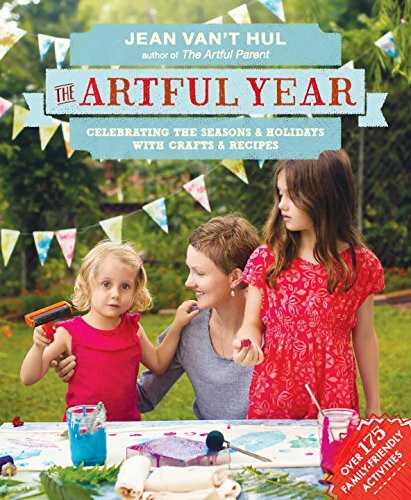 When I saw the melted crayon art project for kids in Jean Van’t Hul’s new book The Artful Year: Celebrating the Seasons and Holidays with Crafts and Recipes, (Note: I received a copy of this book and this post contains affiliate links.) I knew that was the art project I was going to try first. I don’t have a hot plate, but Jean has a great solution to that problem. 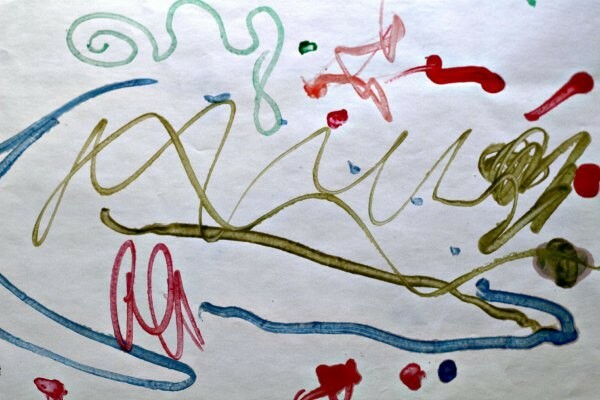 If you’ve never visited Jean’s blog The Artful Parent you are in for a real treat. Jean and I started our blogs within a month of each other and I followed her from the start, totally in awe of all the creative projects she was doing with her daughters. The Artful Year is packed with creative projects, art activities, cooking ideas and even a few activities that will get your kids moving (like indoor hopscotch!) for every season. My favorite characteristic of both The Artful Parent website, the first book The Artful Parent: Simple Ways to Fill Your Family’s Life with Art and Creativity and The Artful Year: Celebrating the Seasons and Holidays with Crafts and Recipes is that all of Jean’s projects are simple enough for parents to adapt to the talents, abilities and skill level of their children. This is good news for me, because around here simple reigns supreme. Heat tray in a 350 degree oven. Place a towel on your work surface and put the tray on top. If you are concerned about your child accidentally placing his non-drawing hand on the hot surface you can slip an oven mitt on his hand. We used a winter mitten for this. 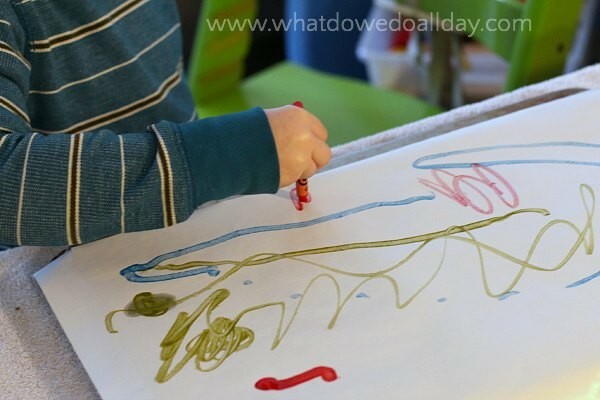 As your child draws with the crayons he experiences the process of creating art with the melting wax. It’s a much different sensation that normal drawing and makes lovely, smooth lines. 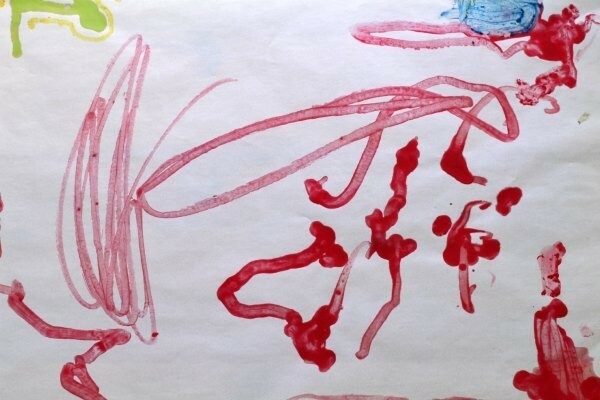 Of course my son decided that the melting red crayon reminded him of blood. This made him extra enthusiastic. I wonder if Jean’s daughters do this. Hmmm. I guess it could be said he was really into the melting part. I even did a melted crayon Zentangle-inspired piece myself. Took me right back to my childhood. Except back then I used to draw melt-y flowers and happy suns. Our tray cooled down to a non-burning temperature fairly rapidly and at one point I was rotating 3 trays in and out of the oven to try and keep up with my son. See how successful it was? My so-called “art hater” couldn’t get enough of this project! 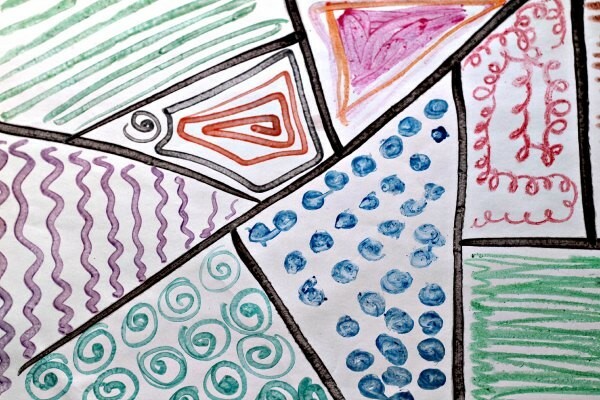 I encourage you to try this classic art project with your kids. Jean’s daughters did a lovely version of melted crayon hearts on foil for Valentine’s Day. It’s a nice winter art project, but of course can be done any time of year! Here’s the finished “blood drawing.” Kids. Get tons more inspiration in the book! I use warming trays turned to low for this project. I found that if you purchase a buffet warmer and take off the serving containers it is the same as the old warming trays we used to find at the Goodwill from the 70’s! I have been using these in my preschool classroom for years and my now preteens still love it. The make “stained glass” looking pictures when colored, cut out, and hung on the window. Great tip to look in Goodwill. That sounds just like what my mom had. I wonder what she did with it… hmmmm. I love melted crayon art! And the book is fabulous! 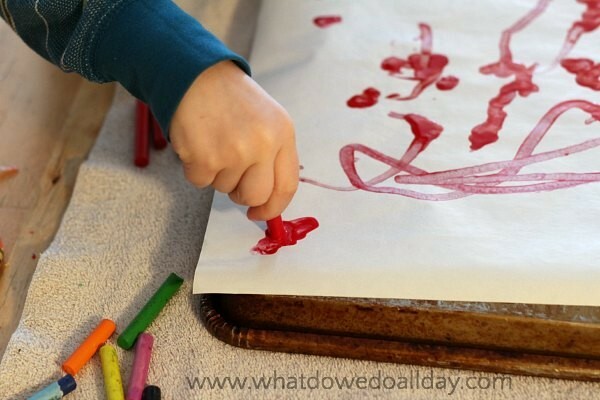 To jump it up a notch put a piece of aluminum foil on a warming tray, draw on that, then take a print with a piece of white or light colored fabric. It looks like a batik. This makes a great wall hanging. My son’s was still visible after 25 years. That’s a wonderful idea! How lovely that you still have your son’s.